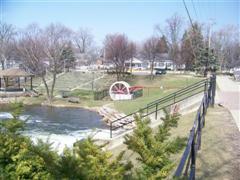 Welcome to the Linden Mills Historical Society & Museum "home" webpage!! Our meetings are held the 2nd Tuesday of each month from April - November at 7:30 p.m. at the main clubhouse in the Shiawassee Shores Retirement Park, located at 1515 W. Rolston Rd, just north of Linden, off of Linden Rd. Meetings include current Society business and guest speakers. Refreshments are also served. 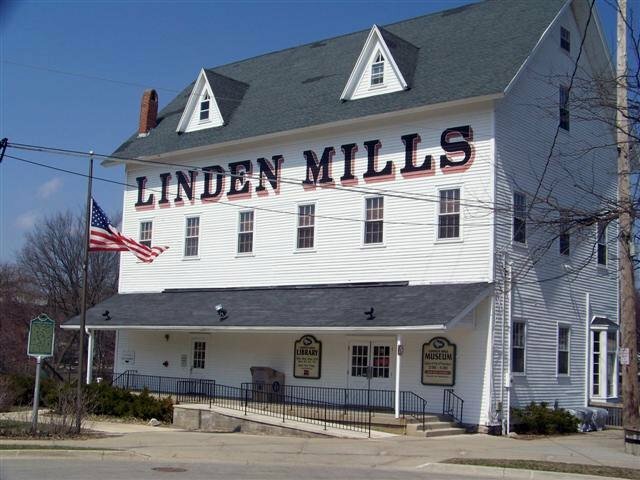 The Linden Mills Historical Museum is located in the historic Mill Building (201 N. Main St.) and is open 2 p.m. to 4 p.m., (although the sign says til 5:00 p.m.) June - Oct. on the 2nd & 4th Sundays of the month! Our museum is also open Friday night the first weekend in December, during the Linden Holiday Happening. but donations are gladly accepted and appreciated!! Society inquiries may be directed to Society President, Pete Maas, @ (810) 629-6638. LINDEN WALKING OR DRIVING TOURS AVAILABLE!!! Society Vice-President, David Kincaid, gives historic walking tours of downtown Linden!! 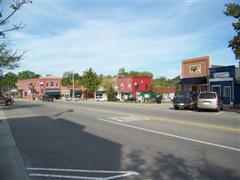 and charming town of Linden!